Well here we are at Episode 80 already, unreal! 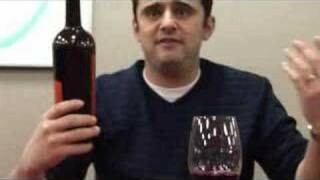 Today Gary does a mixed bag of 4 wines that he had to taste anyway! 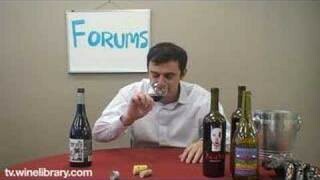 Watch as Gary tastes these 4 wines and please add your thoughts and question and answer the question of the day. Gary tastes a Sauvignon Blanc from New Zealand, a Chardonnay from California and a Cabernet and Syrah from the left coast as well! EP 162Wine Labels for Personal Use? Qotd- JD and Coke or a White Russian with a cigar – or a Carmel Machiatto – mostly because I feel cool saying it. Catching up on some old episodes. Great QOTD on this one. Would have to go with any great Stout Beer. Recently had the Brooklyn Imperial Stout & the Rogue Stout- awesome! Wow. I saw the Clos Mimi on the table and decided to see what you thought, I passed it up at my local shop last week, but now I think I will go back and pick some up! QOTD: Genmaicha Tea w/ a pinch of raw sugar (or a good glob honey if I am sick). QOTD: I have a few- a very cold 12 oz Diet Coke (within 15 minutes or so of opening), Dunkin’ Donuts iced coffee with skim and sugar from the East Main Road store in Portsmouth, RI (I’ll get it in other places, but this is my favorite store), and various flavors of tea. Used to drink tons of soda and have since stopped but I still crave coke in a glass bottle hard from time to time! Bottled exclusively for New York’s luxury Carlyle Hotel. I love the flavor of this wine, it has a strong earthy nature and shows signs of being great 10 years from now.The wine is medium bodied, not as complex as the Petite Rousse, but fruity,soft and savory. qotd: alot of sparkling water actually. love that your checking those comments, cuz i have a request. Really wanna see you do an episode on vin jaune’s. Also, a tasting on the different charbono’s out there would be great. Loved, Loved, LOVED the question about the wines of their “hay-day”. I think you were a bit off. I find that great producers have continued to get better or stay consistent. But what i have found is that people become curious about wines and give into the “hype” at that time but the wines loose there luster. Also, i find that these wineries get complacent! i mean, they rise to the top and just set it to autopilot and their quality goes DOWN! QOTD: coffee in the mornin, water during the day and then Guiness if I’m not having wine. But I like pretty much everything, I find whenever I drink too much of one thing for a year, I get bored of it.